Find a Coach / Bus trip that explores North Africa. There are 43 tours to choose from, that range in length from 3 days up to 15 days. The most popular month for these tours is October, which has the most tour departures. "We were there with a bunch of friends and it was just amazing. Well organised tour..."
"Our Guide is good and knowledgeable. 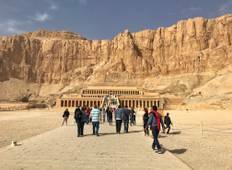 I am disappointed at the conditions of the accommodation,..."
"We travelled May 2018. Abdul was an amazing guide. The trip was excellent and the..."
"Dominican republic is so beautiful with lot's to see do from professional salsa dancing..."